Having a business profile picture on LinkedIn makes your profile 14 times more likely to be clicked, but not images have the same impact on the profile visitors. We are giving 5 basic tips that will help you take a good profile picture. You must have a professional LinkedIN profile pic, there’s no 2 ways about it. 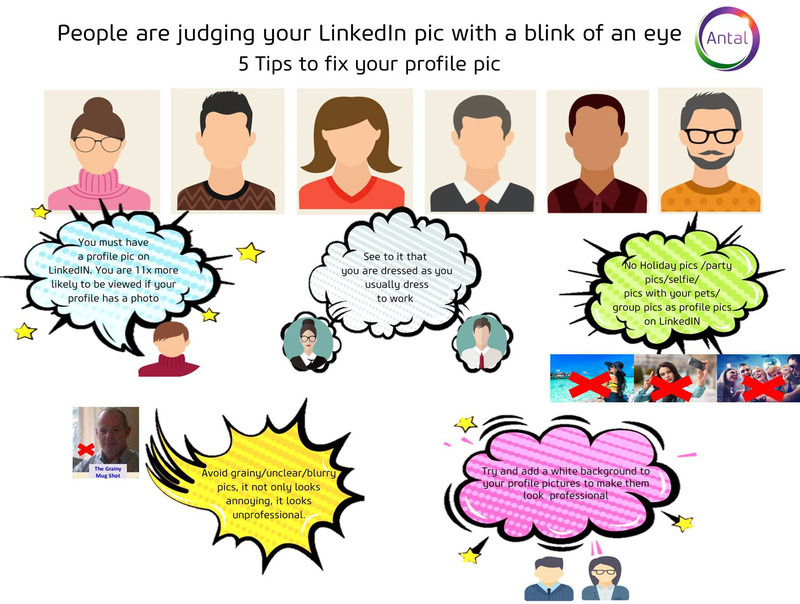 You profile pic gives a face to the name and makes it easier for the viewer/interviewer/client/prospect etc to relate to you. LinkedIN is a social networking site for professionals and hence you attire in the profile pic should reflect that. That means you should be dressed like you would to work shirt, tie/ formal dress, limited jewellery & makeup a decent & neat hairstyle, well groomed. You profile pic cannot be something you clicked on your last vacation – no not a beach pic where you are in a swimsuit or trunks sipping a cocktail, or at a party/roadtrip/trek/gym, no group pics or even selfie, or with your adorable pet, or your family. It’s always advisable to click a pic with a white background or even a black&white, avoid brightly lit backgrounds. Avoid clicking a pic in a surrounding that untidy. Avoid clicking pics in your kitchen or bedroom.